The United States has built the most powerful military in the world. That strength has come at a largely unknown cost. The testing and disposal of the nation's weapons here in the U.S. have poisoned drinking water supplies, rendered millions of acres of land unsafe or unusable, and jeopardized the health of often unwitting Americans. ProPublica months ago began investigating the scope of the environmental problems caused by the U.S. military on domestic soil. What we found was arresting. The Pentagon has catalogued more than 40,000 contaminated sites across U.S. states and territories, and it has so far spent more than $40 billion attempting to clean them up. We have found no other single entity — corporation, government agency or individual — responsible for so much environmental degradation. The total amount of land contaminated by the military is larger than the state of Florida. Thousands of sites remain dangerously polluted and fenced off, awaiting the government's attention. Thousands of others have already been returned to public use — for parks, housing and schools — in some instances without thorough cleanups. Faced with these liabilities, the Pentagon has routinely sought to minimize its responsibility for fixing its environmental problems. It burns hazardous waste and explosives because it's the cheapest way to dispose of them, even though the burning process has been outlawed for most American industries since the 1980s. It employs contractors to dispose of hazardous waste and clean up toxic sites, then claims it is not responsible when some of those contractors commit fraud, improperly handle toxic material, or cut corners on cleanups. It has in some cases explicitly refused to cooperate with the U.S. Environmental Protection Agency and let dangerous sites linger unaddressed. 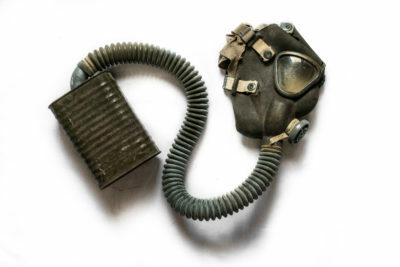 But perhaps nothing better exemplifies the Pentagon's approach to its pollution problem than the story of RDX, one of the world's most powerful conventional explosives. RDX was developed by the U.S. military during World War II. It is now believed by many to cause cancer, and is increasingly turning up in drinking water supplies near military sites across the country. As the human health and environmental dangers of RDX have become known, ProPublica's investigation found that the Pentagon has resisted scientific evidence that it causes cancer, interfered with federal and state efforts to clean up RDX-contaminated lands, and even pressed Congress to re-write American environmental laws so as to not apply to RDX contamination. This story makes up the fourth installment in Vox's collaboration with ProPublica. You can find this video and all of Vox's videos on YouTube. Subscribe and stay tuned for more from our partnership.